Babbie Mason – Are you living your "Life on Purpose?" Are you living your "Life on Purpose?" 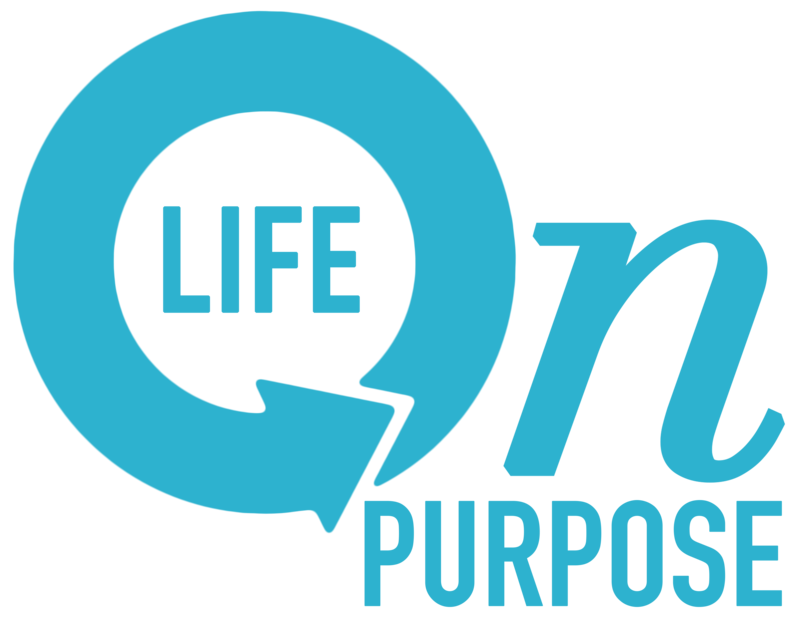 Why “Life on Purpose?” Glad you asked! What do people say about Beth? If Aretha is the queen of soul, then Babbie Mason has to be the queen of Christian soul. Hers is a voice that belts a soulful jazz number then effortlessly switches to a tender ballad, seemingly as easily as an artist changes paint color. Years of hard work and determination have earned her a solid position as one of the Christian music industries greatest artists of our time. Babbie was raised in Michigan, a bona fide preachers kid all the way. “I think I went to church 9 months before I was born,” laughed Babbie as she recalled her rich legacy of a committed Christian family. In their family was five generations of pastors, and Babbie could not recall a time when she did not know about God. After accepting Christ at the young age of 8, she was playing the piano full time from the age of 9. “I was a working woman, and I earned $8 a week! It was with that money that I bought my first bike and school clothes,” she said with gratitude, thankful for that entrepreneurial spirit that she so eloquently uses in her ministry today. As a young woman, Babbie’s musical ability earned her a full scholarship to Spring Arbor College, now a full university. During this time, she was still singing in her daddy’s church, but was also working hard at making her secular music dreams come true. Playing in the bars on weekends and in the church on Sunday seemed fine, until one day she experienced a defining moment when all that would change, all over a cup of soup. Though her parents did not agree with Babbie’s double life, they trusted in her foundation and did not worry much about her weekend jobs. They knew God had a plan for her life and trusted Babbie to stick close to her roots of faith and family. Babbie knew in that moment God was speaking directly to her, not in an audible voice, but the message was clear. “Seeking that lifestyle of music was not for me. This was not His plan.” Though this was clearly from God, this required Babbie to let go of that Motown dream and that was a difficult decision to make. But she did let go and began to seek new opportunities and ways to allow the artist in her to express herself and the music within her. Soon, opportunity began to present itself in exciting but methodical ways. The dean of the music department offered her an opportunity to become a part of a traveling team of musicians called Common Bond. The next year, she was invited to join that group again, but this year as a soloist. It was this group that would help her to record her first album; in what is now the Gaither’s studio. “The Bible says despise not small beginnings,” remembered Babbie as she recalled this major hurdle of having her first record. “Everyone on campus supported me and bought my album. I remember the day that big freight truck came driving up to my little apartment. I’m putting boxes under my bed and in every nook and cranny and selling records out of my car,” Babbie chuckled. “God has been very faithful, one thing has always led to the next,” Babbie says as if to emphasize the step by step nature of God bringing about the opportunities that lead to her successful ministry. The next phase in her life was getting married and moving to Georgia, where she got a job teaching for Cobb County Schools. Charles (also known as Killer due to his job as an exterminator at one time) joined in during our interview and had a quiet smile that was bright as a sunny day. Cutting most of her career ties in Michigan; Babbie was in a sense starting over in Georgia. One of her first places to perform here was Mt Paran Church of God. Though this was a difficult place to get into for the first time, it was here that things began to take off for Babbie in the south. One of the most recognizable opportunities was singing at the Governors Prayer Breakfast on the same day that Billy Graham was scheduled to speak. “Billy Graham could not make it and Cliff Barrows, (Longtime Music and Program Director for the Billy Graham team) came in his stead.” It was after Babbie sang one song that Cliff Barrows invited her to sing Great is thy Faithfulness at the next Billy Graham Crusade. With both Charles and Babbie working full time while also pursuing ministry, it became clear that she needed to quit her job in order to allow the time to commit to her passion of music. “1984,” said Charles, his first words during the interview, remembering the stressful decision they made at that time. “A friend came in that very day and offered to pay our health insurance for one full year, while I was getting my ministry going fulltime, keeping in mind we had two boys by this time,” she said, seeming to still remember how that generous gesture allowed her the freedom to fully pursue her dreams. With over twenty years in ministry, Babbie has covered the gamut in reaching others for Christ. “Singing lead to songwriting, song writing lead to book writing (Faith Lift/Treasures of Heaven), all of which are closely related,” she said, again emphasizing the order in which God has allowed her talents to be used. Keeping that focus in her life requires daily discipline that Babbie is committed to during this busy season of her life. “We are falling prey to too much, thus the term multi-tasking. All these gadgets (motioning to her cell phone) and devices take a little more time every day. We are bombarded with interferences. You can hardly even go to a worship service that cell phones don’t ring. I am more determined than ever to protect my peace. I think these distractions are for the most part a tool of our adversary to keep us anxious and on edge. Thus we will need prescriptions and therapy when really we might all just need a little more peace. I will make a deliberate effort every day to read my Bible even if it means finding a quiet place and closing the door.” Says Babbie with conviction. To learn more about Babbie, log onto babbie.com. One of her newest projects is a home-based studio where she is helping others develop their songwriting skills. In addition she has an annual Music conference, this year is May 2006 (open registration available). In addition check your local listings for Babbie’s House television show on WATC TV 57. If you like my posts, please share . . .